In the below video, we chat about the Eurozone and the current buzzword headlines we are seeing on the www. We hope folks are preparing because it seems our friends across the pond are in for a an even more bumpy ride. If you look at the information sources that we do at STT, you'll come to a frightening conclusion that the emperor has no clothes. Who is John Galt? For those of you with a computer, check out Newsmap.jp. It's a news delivery and categorization system that puts the big stories in front of you all at once in a grid-like and color coded pattern. Shout out to a friend for the tipper. 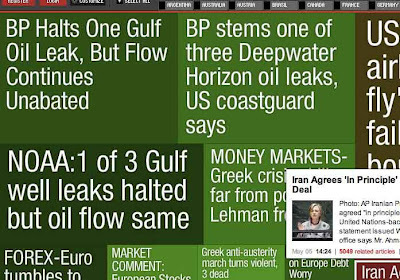 It's not perfect but I like the way it puts the news in front of you at a glance from multiple sources. Other useful apps for plugging into the mainframe of economic intelligence can be found on the iTunes store for those of you that own the appropriate Apple devices. 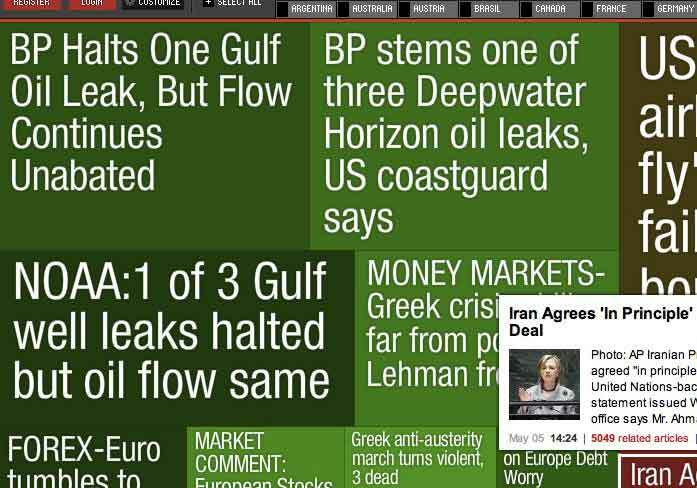 Newsy, Bloomberg and dozens of other apps are available at no cost and are powerful analysis tools. There are many others that we utilize but those are some of the wave tops. If there is interest in information sources, we can produce a video and compile a list of sources to publish here at survivalthinktank.com. Reading list: Go ahead and add Farnham's Freehold by Robert A. Heinlein to your list of books to read. Written long before many of you were born, this book outlines a post-apocalyptic survival story set during the cold war. Hope you can find it as it's out of print currently. A friend sent it to STT from a used book source. Re: Europe. 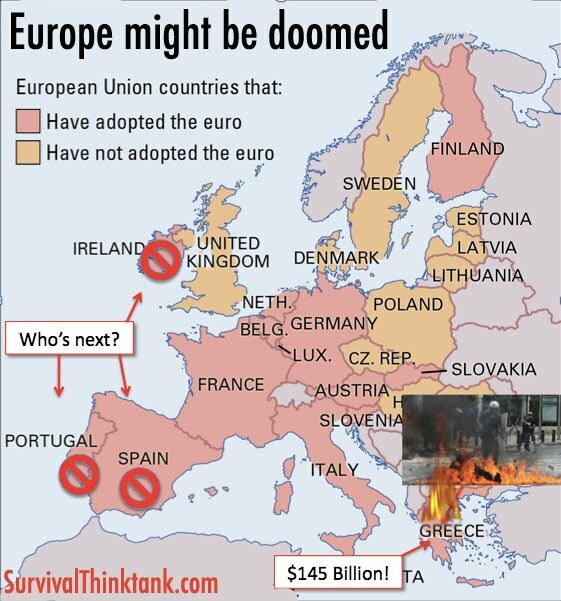 With the massive bailout handed out the Greece and the bailouts no doubt headed to the coffers of Spain, Portugal and Ireland we could see a full on collapse of the Eurozone. This is what happens when you run out of other people's money! In the short, the US dollar will likely continue rally because investors will flee from the stock market and the Euro and put their money into which that they are familiar. Keep an eye on the dollar index and the price of gold. When they become consistently convergent, i.e. the dollar index goes up but so does gold, this is an indicator. The time to prepare is now as no one can predict when the confidence in the U.S. dollar will be lost. Where will people run if the dollar goes the way of the Euro? I think you know the answer. Keep an eye on the markets and always watch both hands of the mainstream and other media.